Made of high quality silicone, it is an excellent and amazing gift to your friends, families, colleagues or youself. It is a usb drive, and also lovely decorations. Plug and play, in line with USB 2.0 specification, data transmission speed. It is very safe to keep your data in the usb drive without any problem ( NO data missing, or File Corrupted). Repeatable erase 1,000,000 times, the data can be stored for 10 years; anti-magnetic, earthquake, moisture, high and low temperature resistance. You can store all your business presentations, homework, personal documents, photoes, videos, and so on. Size: L 2.09" * W 1.51" * H 0.93"
1. Is the usb flash drive real capacity? Sure, our usb flash drive is the real capacity, you can use the H2text to text it. H2text is most authoritative testing software in the world. If you need this software, we can free provide to you. 2. Why the USB flash drive real capacity is not correct capacity? 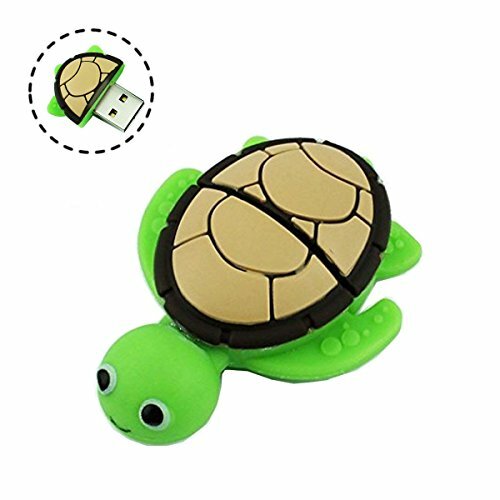 ♥The fun and cute shape makes it easily distinguishable from everyone else's flash drive. The creative animal makes atmosphere a happier environment! Suitable for digital data storing, transferring and sharing in school, in family, to friends, to clients, to machines. Apply to data storage of music, recipe,photos, movies, designs, manuals, programmes, handouts etc. If you have any questions about this product by QICAIHU, contact us by completing and submitting the form below. If you are looking for a specif part number, please include it with your message.